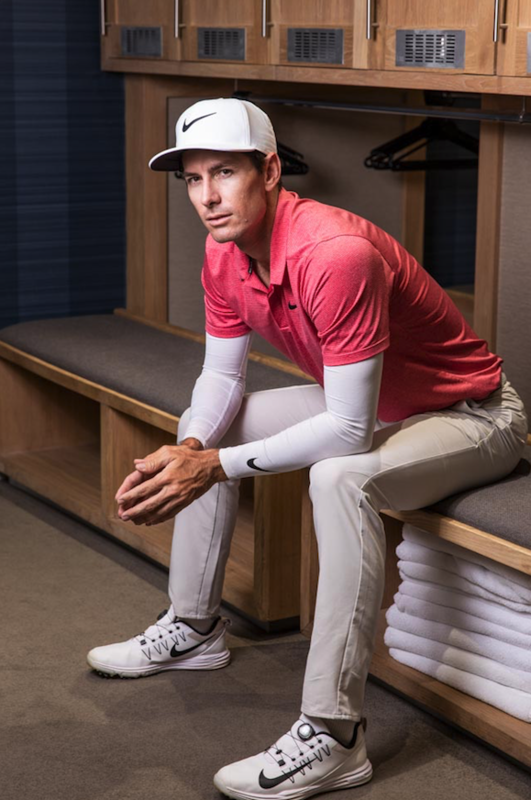 Success in his first bid for a PGA Tour card has opened up a hornet’s nest of new challenges for Dylan Frittelli, writes WADE PRETORIUS. It’s funny how the more things change, the more they stay the same. The South African-born University of Texas-educated golfer doesn’t strike you as one who embraces change. He is methodical, meticulous and calculated. But also driven, ambitious and ready to ‘go all in’ when it comes to pushing himself to reach the top. That’s the contradiction… his measured approach would negate that devil on his shoulder telling him to risk everything all the time in the hope of bursting on to the scene. There’s a lot to be said of his CV: wins at the 2007 Callaway Junior World Golf Championships and the 2008 South African Boys’ Championship as an amateur, winner of the Freddie Tait Cup in 2009 and two stints on South Africa’s Eisenhower Trophy side. He was also the No 1-ranked collegiate golfer to go with his decisive putt to help his college win the 2012 NCAA Championship – his victory sealed the win, with Jordan Spieth and Cody Gribble other winners for the Longhorns. To drive the point home, Frittelli is also a two-time European Tour winner, comfortably one of South Africa’s top five players over the past few years, and now one of the few who holds membership to the toughest Tour in the world. But for all his excellence on the course, it’s notable that process has always been central to the game plan. And it will continue to be so, more than ever, as he continues to work his way around the US in his rookie season. ‘I like to work through my goals and see improvement incrementally through the seasons. I’m never going to be a fly-by-night player, the kind of golfer who comes on to the scene, but then you don’t see him again six months to a year down the line. I’ve been in the top 50 in the world before, and I see myself returning there this year and for a long time to come,’ Frittelli tells Compleat Golfer. From a distance, it’s also fascinating to see how his choices are starting to bear fruit. He has the experience of playing and winning against strong fields in Europe and Asia, he has played at all four Majors, and has built up a sound mental game that he hopes to be able to put to good use this year. Another aid to his rookie campaign – strange when you consider he’s been a Tour pro for six years – is that he has moved back to Austin, Texas, a place he considers home. The 28-year-old will once again experience not having priority to play in every event he would like, but he insists that’s part of the ride, part of the unexpected that he will be embracing as he looks to play as many rounds and as many different courses as his schedule can handle. ‘My world ranking will determine everything. First prize is to get back to the top 50 as soon as possible because then you know you’ll get into the Majors and World Golf Championship events. They have the best events with the biggest purses and the most FedExCup points. That allows you to be a little more selective and helps with giving the body and mind a rest with a few more weeks off. If I’m not, I’ll be adding events around Majors to get more rounds in. The calculated approach to professional golf – you only need to watch Frittelli on the range or in tournament play – is something that has spilled over from his off-course life. He’s OK with being classified ‘analytical’ or a ‘thinker’, but that’s not solely who Dylan Frittelli is. As a third-generation star – if you consider Ernie Els and Retief Goosen to be the pioneers, with Louis Oosthuizen, Branden Grace and Charl Schwartzel as the second generation – the South African is a pro who lets people into his private life with an active Instagram presence. His social media ranges from banter with American pro Julian Suri to practice rounds with Erik van Rooyen. It also includes glimpses into life on Tour with pre-tournament dinners and shows, to behind-the-scenes range work, plenty of food pics and brushes with stars. It also features plenty of videos of gym sessions, equipment tune-ups, and at one point Frittelli hands the camera over to a friend while he laces up his boots and plays soccer at his former college. During the AT&T Pebble Beach Pro-Am it featured a practice round with former Ryder Cup player Hunter Mahan, who has six PGA Tour titles to his name, and a tongue-in-cheek advice question to Mike ‘Fluff’ Cowan, former caddie of Tiger Woods and Jim Furyk. And that’s part of the plan. Mixing a bit of business with pleasure. Instead of falling into a rookies pack, Frittelli sounds out experienced Tour pros and people who have been on the Tour for a decade or more to pick their brains. Funny then that the South African is playing a dual role, as advice-seeker and giver. American Doug Ghim, a former top-ranked amateur and fellow Texas Longhorn, is now on Tour and has been taken under Frittelli’s wing. Frittelli has gone from competing with the strong fields on the European Tour to taking on the challenge of teeing it up against the world’s best on the PGA Tour. He’s gone from roving Europe, South Africa and Asia to travelling around the US. He’s changed up his bag to go all in with Callaway. He’s now fluctuating between seeking advice from older players and giving advice to the youngsters. He’s gone from junior prodigy and college star to European Tour breakthrough talent, and now rookie once more. There are some comforting constants, though, through it all. His persistence to work his way to the very top, his constant ticking of the boxes, the support of his family and friends, his reliable swing and that same steely determination and vision. It’s hard to bet against Frittelli making a success of himself on the grand stage when you consider all he’s done. Frittelli is under no illusion as to the size of the task that lies ahead. Louis Oosthuizen, Charl Schwartzel and Branden Grace have managed four PGA Tour wins between them, which goes to show how different winning at home or in Europe is compared to the PGA Tour. ‘It’s a tough deal. There’s a reason it’s the most prestigious Tour. The big events are massive from start to finish, with an incredible number of fans and events going on all the time. The players are incredible and new ones keep coming off the college production line. I will be working furiously to come to grips with the courses and the conditions and getting my game in shape to play at peak performance level. Golf fans around the world are familiar with the friendship between Justin Thomas and Jordan Spieth. They are about as high-profile pro sports buddies as you can get. The pair were on opposite sides, though, whenever Alabama and the University of Texas faced up on the course for a duel. Spieth had an ally in the form of Frittelli, a talented young South African with a rich amateur pedigree. 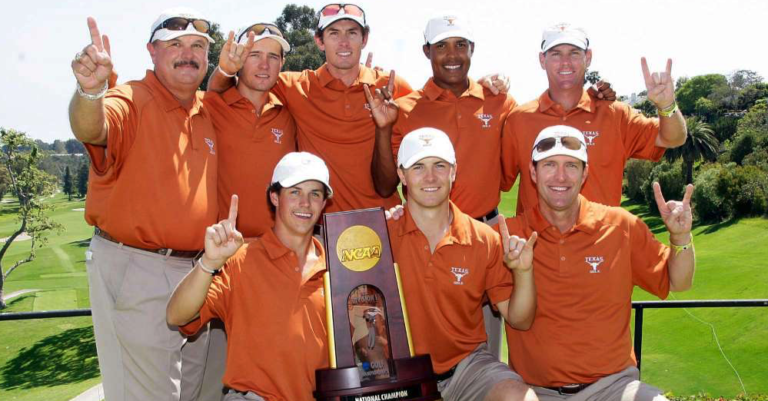 In a system full of stars, Frittelli and Spieth conspired to lift the University of Texas to the 2012 NCAA Championship with a 3-2 win over Alabama. The individual winner that year was big-hitting Belgian Thomas Pieters, with Patrick Cantlay and JT featuring inside the top 10. Thomas was the standout rankings leader, but Frittelli and Spieth pushed each other every step of the way, with the pair alternating second and third spots on the different college rankings systems.